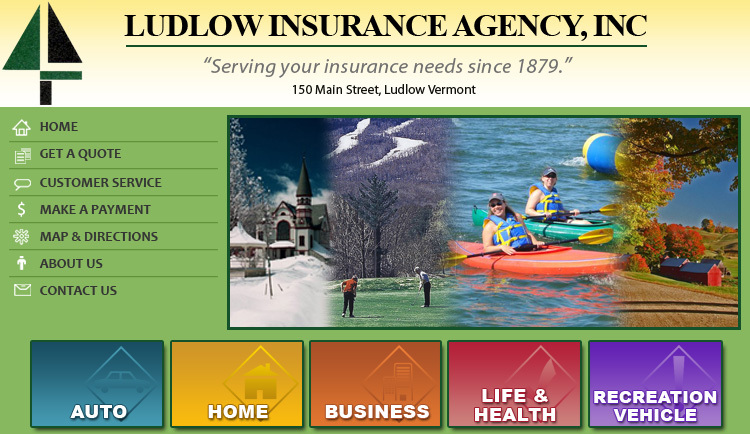 Ludlow Insurance is 140 years old! Ludlow Insurance Agency is pleased to be celebrating 140 years in business and the 80th year in the same family! Founded in 1879, Ludlow Insurance was purchased by Walter and Bernice Aher in 1939, then by John "Dud" and Charlotte (Aher) Pluta in 1963. In 1995 Sharon (Pluta) and Ron Bixby moved in as President and Vice President. Shown here are the Pluta's and the Bixby's a few years ago. "We are proud of our heritage and long time commitment to help our friends, neighbors and area residents with their insurance needs." Ron Bixby has been re-elected State National Director of Independent Insurance Agents & Brokers of America (IIABA) representing the State of Vermont. He is shown here with newly elected IIABA Chairman Joe Leahy from Springfield, MA at the annual IIABA Convention. Vermont Insurance Agents Association, Professional Insurance Agents of America, Trusted Choice, Independent Insurance Agents and Brokers of America, North American Insurance Alliance, Okemo Valley Regional Chamber of Commerce, Ludlow's Side Hill Cronchers Snowmobile Club, Ludlow Economic Development Corp, Fletcher Farm Foundation, Inc. Ludlow Fire Department, Ludlow Rotary Club, Black River Academy Museum and Historical Society, Okemo Valley TV Corp. Sharon represents the Town of Ludlow on the Southern Windsor County Regional Transportation Advisory Committee and Ron is Deputy Chief and Treasurer of the Ludlow Fire Department a Water Commission for the Village of Ludlow and Ludlow's Emergency Management Director.